I will click "import", type the name of my cfg file containing my descriptions, but it will say "imported x objects", but still nothing will show up in the text fields. Descr "This is a Wiki test - Third part of the Test, part 2"
Descr "This is a Wiki test - Second Part of the test"
Descr "This is a Wiki test - 4. Part of the test"
There appear multiple entries for the same planet, but only the first entry will be used. But that was at least in the previous patch (6) already like that. JackDole, Editing still works for me as well. I have no idea what your problem might be, PlutonianEmpire. I tried. Patch 7 is great! Fantastic work Vladimir. I am glad that dwarf galaxy error is eliminated. This is my problem I'm having right now. That's one of the only issues with this version of SE though, on my machine. Still works otherwise. Okay so I've looked through the files for some of the older patches and messed with some of the settings, but my ships are all still solid gray. SE.log says nothing about it, but I've observed looking through the .pak files (don't worry, I was only looking! I like to think I know what I'm doing xP) that the SHW ships have different material properties for each section type. Given that, it appears that the material properties are loading correctly (the fuel tanks vs. the shields are actually different shades of gray), but the textures aren't appearing, and lighting doesn't seem to be being applied. Anyone else having a similar issue or know what to do? P.S. 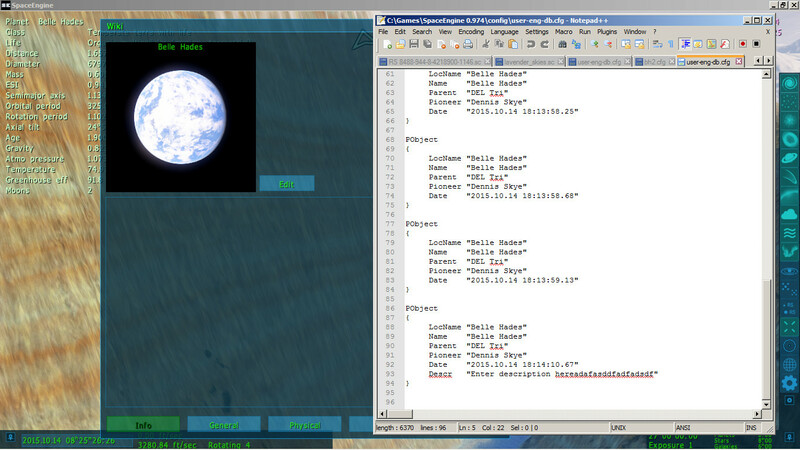 : Also, it seems with the 0.974 beta that the Hyperdrive mechanics have changed. While the Hyperjump function is convenient, I miss being able to flip on the Hyperdrive and go sailing across interstellar space, which I could do before but doesn't seem to work now. What I did specifically was press "H" to turn on Hyperdrive, then use the scroll wheel to apply thrust. Previously, this would accelerate the ship and multiply the thrust so that I could warp off at ludicrous speed... but now, the scroll wheel seems to only turn on the normal engines, acclerating the ship at the normal, non-Hyperdrive rate. I've tried stuff like Ctrl+Mouse wheel, etc. but it isn't doing anything. Can anyone tell me the new way to accelerate using the Hyperdrive, if it exists? So I thought using Ctrl+Mouse wheel was the trick, but apparently that only works if you start with your ship stationary - relative to the universe, that is. In that situation, the Hyperdrive appears to boost the acceleration of the ship. But alas, it doesn't; as soon as I do that and then drop back out of hyperspace, I have a large residual velocity, and the Hyperdrive does nothing to help me reduce it. The only solution is to just wait out the long deceleration burn (or accelerate time, breaking immersion). So DOES anyone know how to control the new Hyperdrive after all? parameciumkid, check your button assigments (F8). Maybe the key that turn on the hyperdrive has been unassigned during the update. The 1st thing I do when I install a new patch is go check key bindings cause the keys.cfg is mostly always replaced. ^ Already did that. That's the first thing I checked too, and there weren't any keys listed related to the Hyperdrive that hadn't been assigned - all I saw to begin with were "H" to turn it on and the wheel to adjust engine thrust. parameciumkid, as far as I can tell nothing has changed with the hyperdrive. Really strange, I thought for a moment that your 'user-eng-db.cfg' is read-only, or has limited access rights, but that does not seem to be the case. Space Engine now runs at 1.6 FPS whenever I get close to a planet, I think it's because of how the starting place is on the surface of the planet's moon. It wasn't like this before then. Thanks. But for some reason, when I try low-quality aurora, it still lags. Anyway, even without aurora, this may just be the laggiest version of Space Engine I've ever played. They aren't as high res as procedural planets.... This is normal. I lost earth!! !I can't find it in any way..